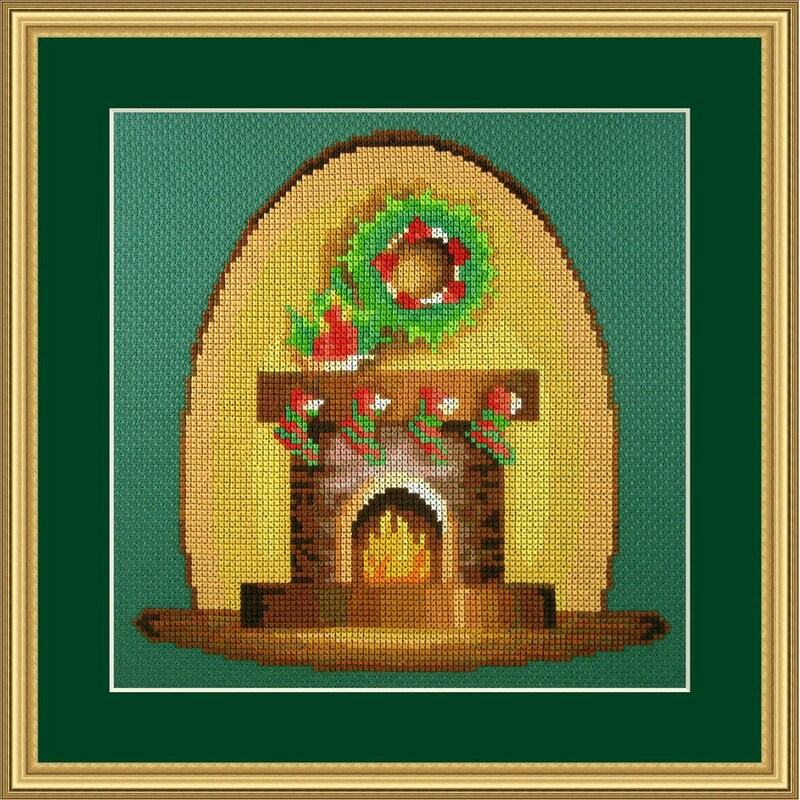 Cross stitch kit of a fireplace, complete with stockings, candles and christmas wreath. 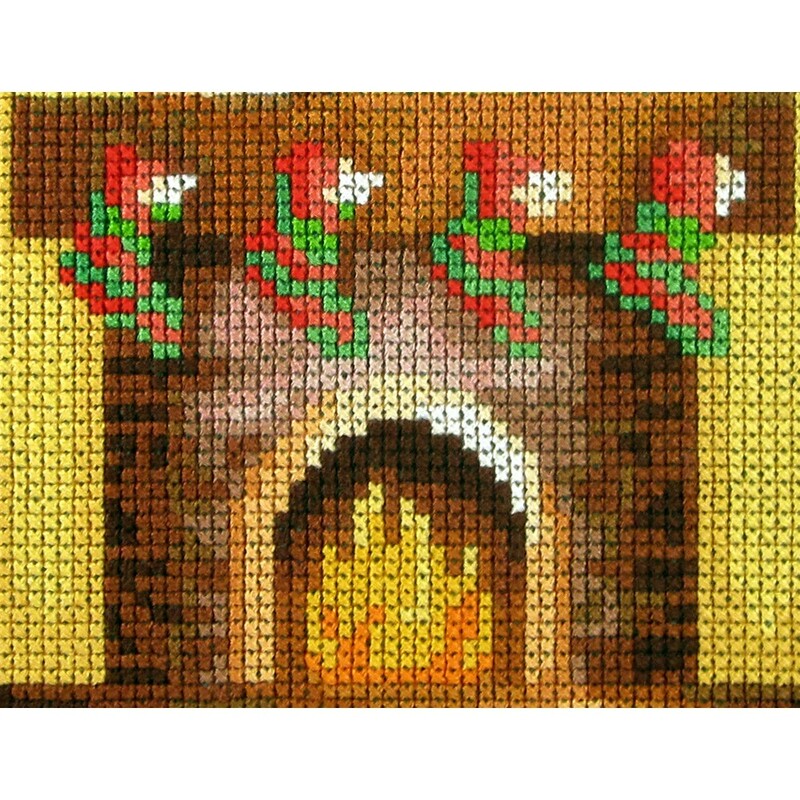 Fun to make, but also as christmas decoration. Suitable for beginners! With DMC floss and christmas green aida by Zweigart. 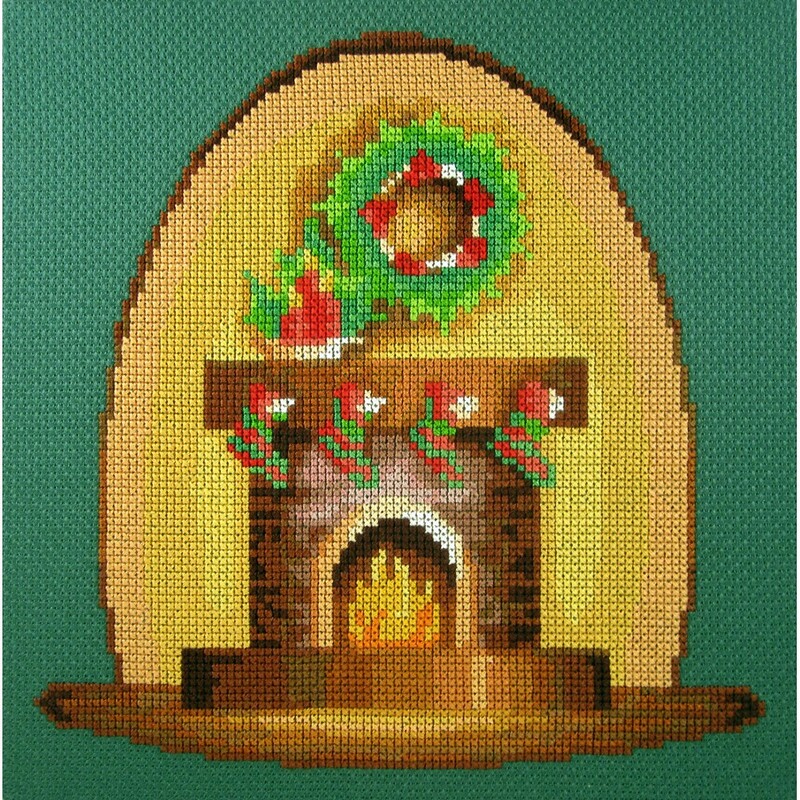 Cross stitch kit of two playing reindeer who clearly cant wait untill christmas is here. A small c..